Trying to upload photos of recent happenings to Flickr but the upload speed has been moving like a turtle, it’s so slow. Will update my life as soon as possible, in the mean time, do follow me on Twitter and Tumblr. 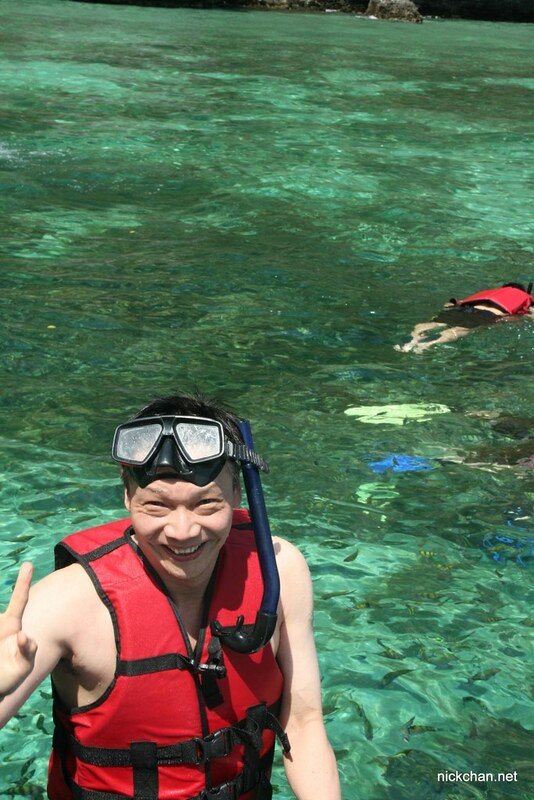 Few months back while I was in Phuket, I went on a one day Phi Phi Islands tour. 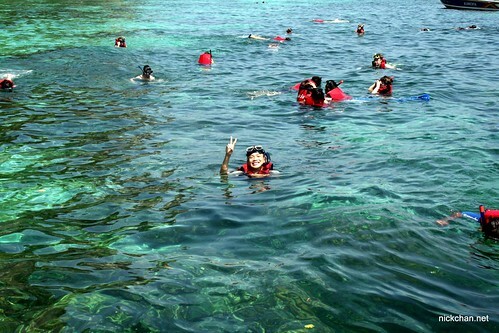 One of the the tour activity is snorkeling and for a long, I’ve wanted to jump into the clear blue sea for a swim, if possible, a glance into what’s in it or dive in and here I was, snorkeling in the transparent turquoise sea. 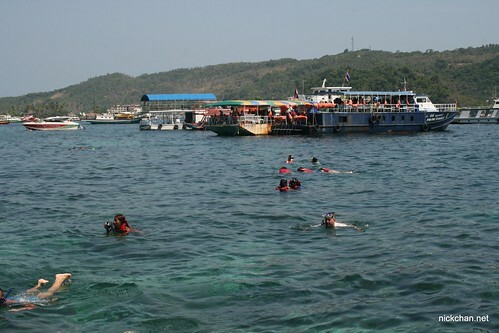 The speedboat that we were on stopped at somewhere that no one knows, a shallow area like about 15-20 feets. 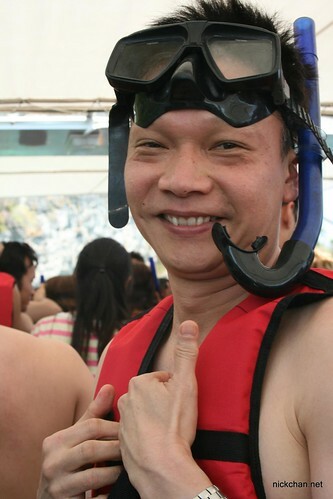 I put on the floating safety vest, the goggle, the breathing tube and the swimming paddle that I rent at the quay, I jumped in with others. Swimming with the paddle is not easy. After some frustration with all the gear, I just took off everything, the vest and the paddle. Only then I felt it’s easier to swim around. 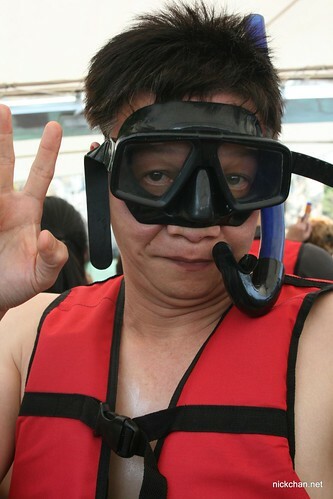 Unfortunately, I don’t have an underwater camera or casing for my camera, else I would be showing you what’s underwater. Though, don’t expect so much, what’s pretty was the fishes, there’s no coral sadly, it’s all red dead coral rocks, probably destroyed by the tsunami 5 years ago. Well, we stayed in the water for like half an hour then we moved on to lunch. Look fun. 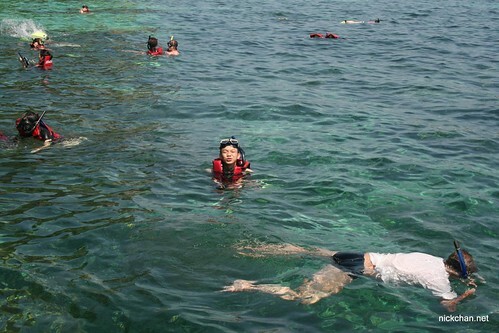 I also want snorkeling. Too bad that I don’t know to swim.